Hello, my Simon Says Stamp June Kit of the Month came a couple of days ago and I finally had a chance to made this card. 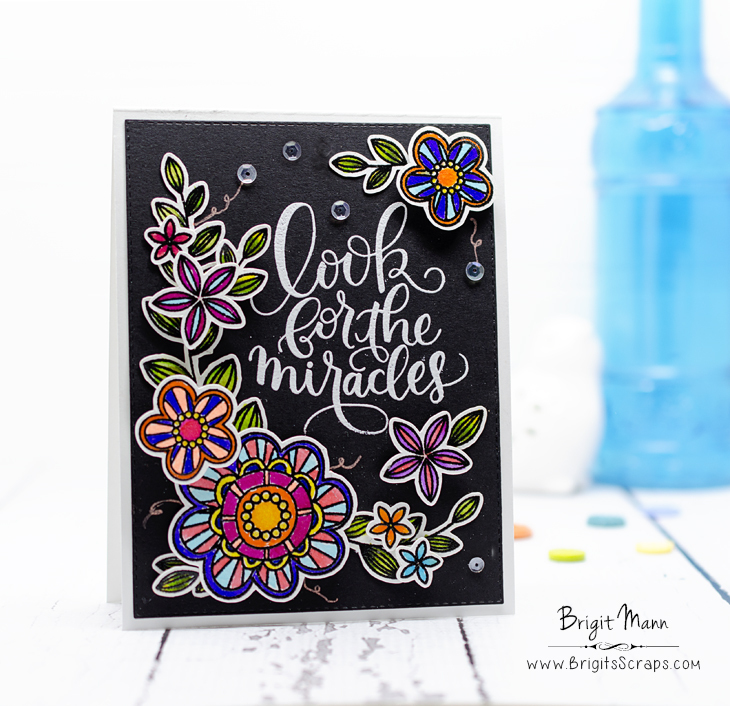 I love the whimsical flowers and the large scripty sentiment in the Look For The Miracles stamp set. There are two gel pens in the kit, I had a yellow and peach which I used on the card along with my Zig Clean Color Real Brush Markers. I stamped a bunch of the flowers and leaves, colored them in and than cut them out with my Brother ScanNCut2, definitely makes the job quicker and much easier. 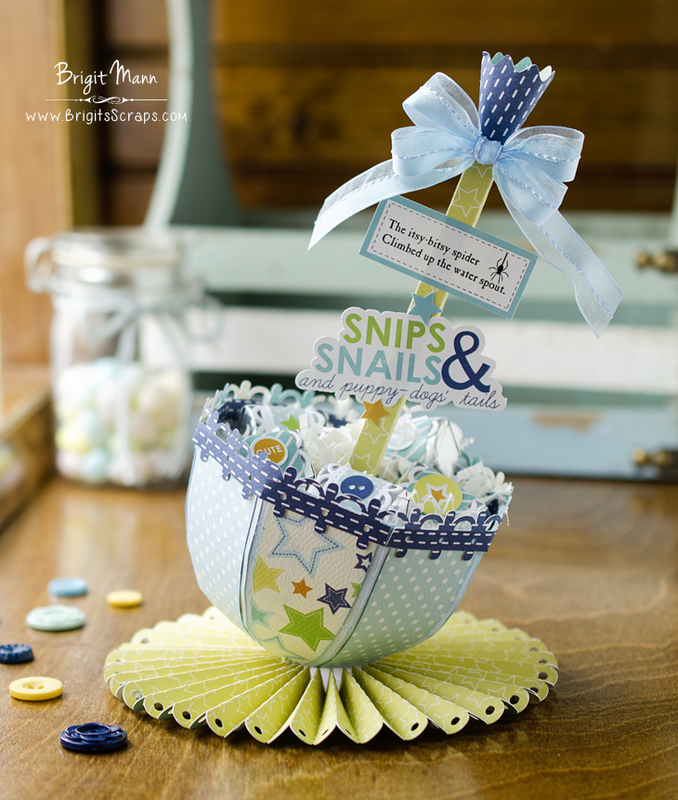 It's the last day of Sneaks, tomorrow it the reveal and blog hop, yay!! 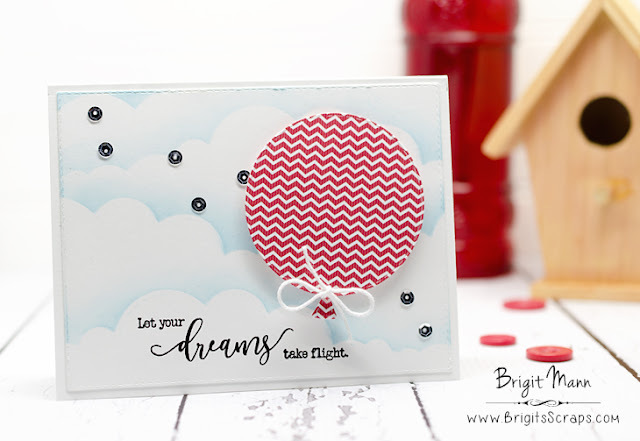 Stitched Circle Balloon Dies and the Script Words Freebie! I was so excited when I saw the balloon dies, there are four balloon dies and a string, this one is the second smallest. The largest will make a great shaped card or perfect for a party banner, so many possibilities! Love the three script words in the freebie set, remember the first 150 shoppers tomorrow when the release goes live with get that set. I used the cloud die in the More Stitched Edges set to create the stenciled background and the Stitched Rectangular Frame dies to cut out the front layer. It's Day 3 of My Creative Time's New Release Sneaks! You can never have too many birthday sets and this one is a definitely must have, just love these candles. 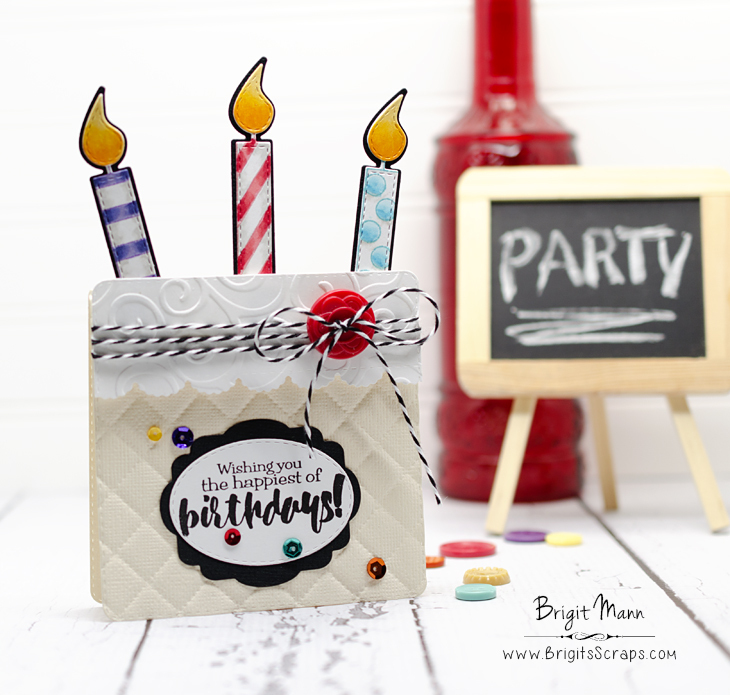 I used this new set along with some others to create this birthday cake card. 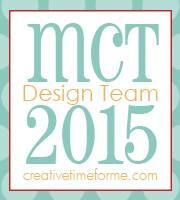 Welcome Back, for another day of MCT sneaks!! 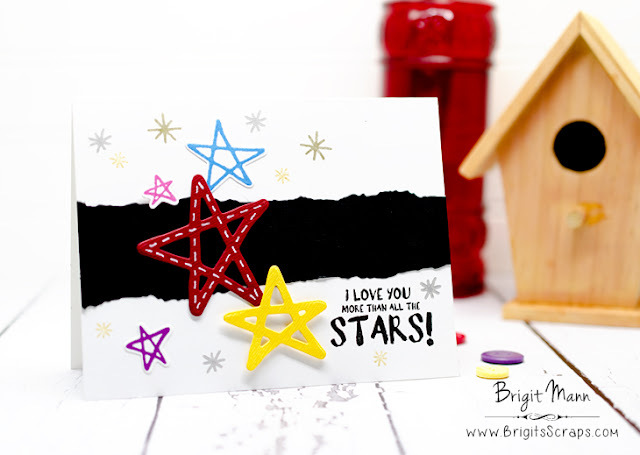 This next set we are sharing has a bunch of cool stars and awesome sentiments. I love these star, super fun shapes, the two larger ones cutout the middle pieces as well. All the stars you see on the card comes in this set. I also used the torn paper edge die from the More Stitched Edges set on the black strip. Welcome to Made in Minutes from My Creative Time! 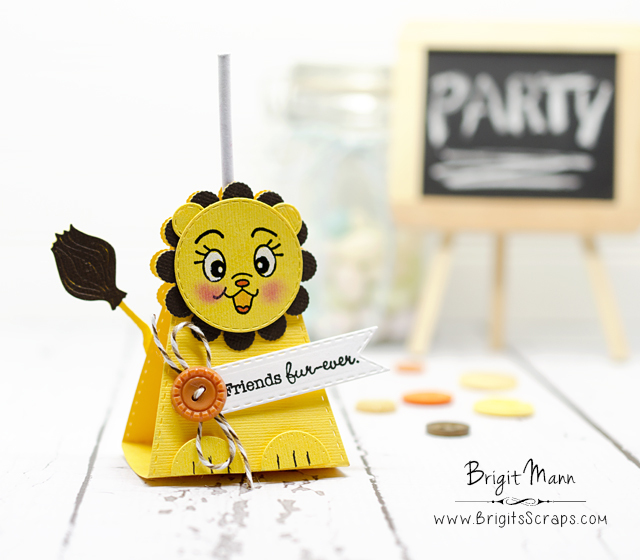 Today I have a quick and easy lollipop treat holder perfect for a party favor. I had so much fun putting this together, it really came out so cute. You could make a bunch of these in no time. 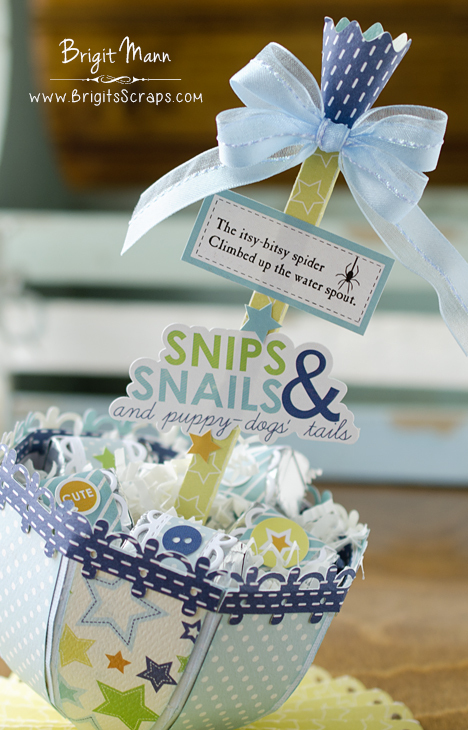 Would be real cute for a baby shower also. Good morning & welcome to another "48 Hour Flash Sale!" This sale is for 48 hours ONLY that is going on right NOW & will end on Sunday, May 8, 2016 @ 7am PST. 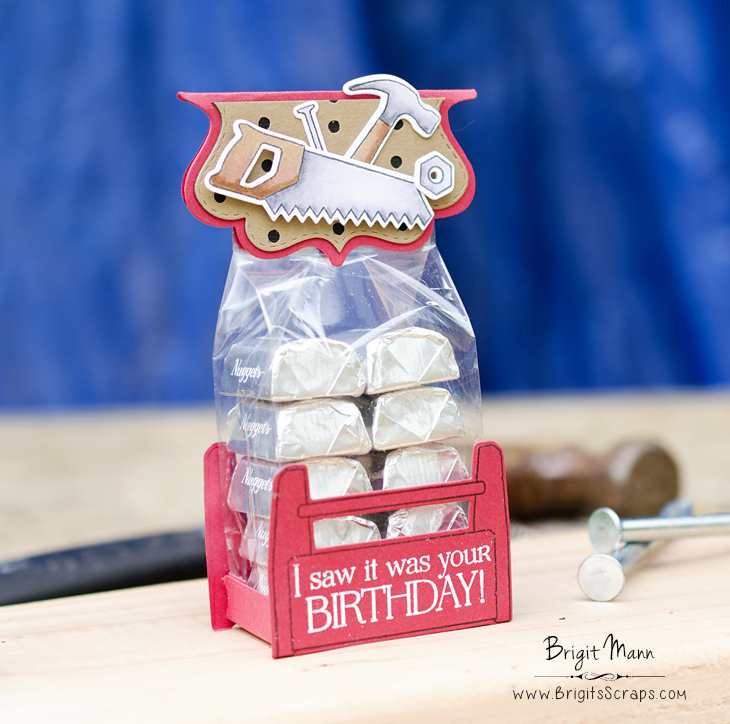 For this sale, we are all featuring a brand new stamp & die set called "Create". 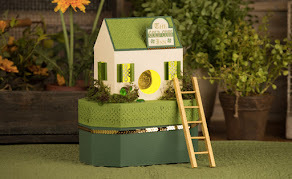 It is SUCH A FUN set & I cannot wait for you to see all the projects the team has created using it! Don't forget to use the code FLASH at checkout to get 20% off of your entire "in-stock" only purchase! 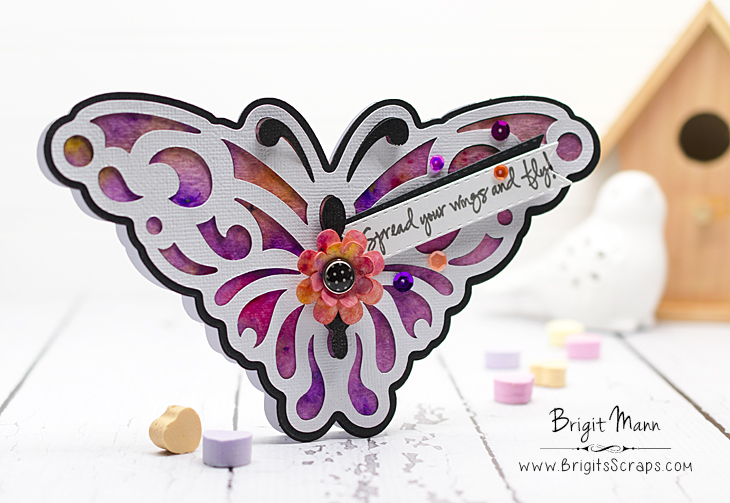 Here's a card I made with the new Create set! Dreaming Tree's new You're Invited SVG Bundle is made up of three cards with beautiful cutouts one being a butterfly. 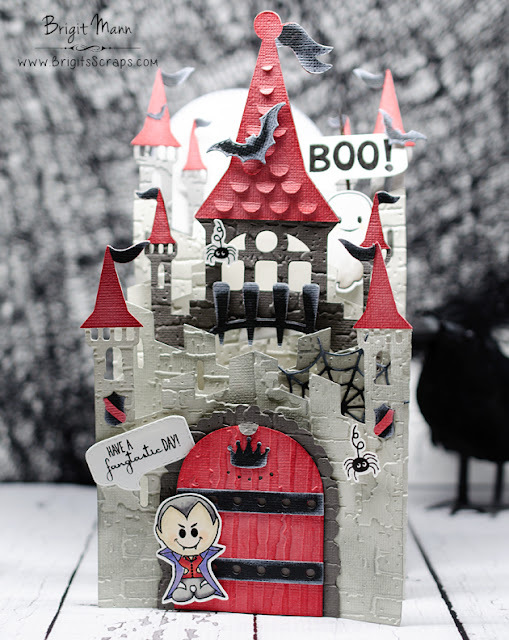 I loved it so much I used the cutout pieces to make a shaped card in SSDE. For the colorful layer I used my Color Burst, I'm still getting use to these. When I'm working with them I don't like how it looks but when dried I love it, I also use some on the flower. The sentiment is from MCT's Live Love Laugh and Be Happy set. 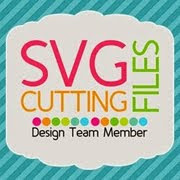 A couple people have ask, I do all my work in an older version of Silhouette Studio Designer Edition, save it as an svg and cut it out on my Brother ScanNCut2, I love this machine, cuts great but the stamp, scan and cut is totally awesome and it's super quick!! 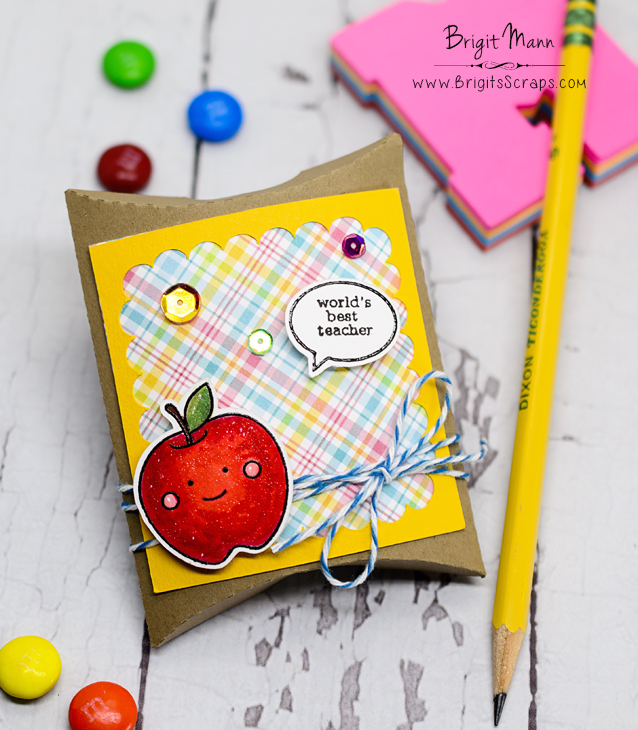 It's Inspire Me Wednesday at My Creative Time and I have a card to share with you. 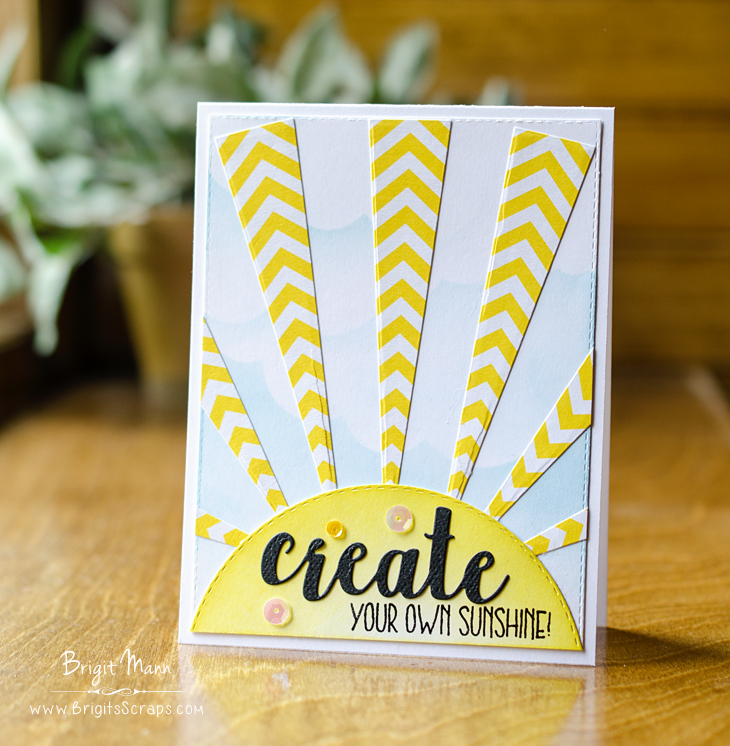 My inspiration came from Jennifer Rzasa's beautiful card that I absolutely fell in love with, hop on over and take a look at hers here. I adore the Build A Sunray set and that's why I was so drawn to Jennifer's card. I kept my card basically the same just using MCT products. 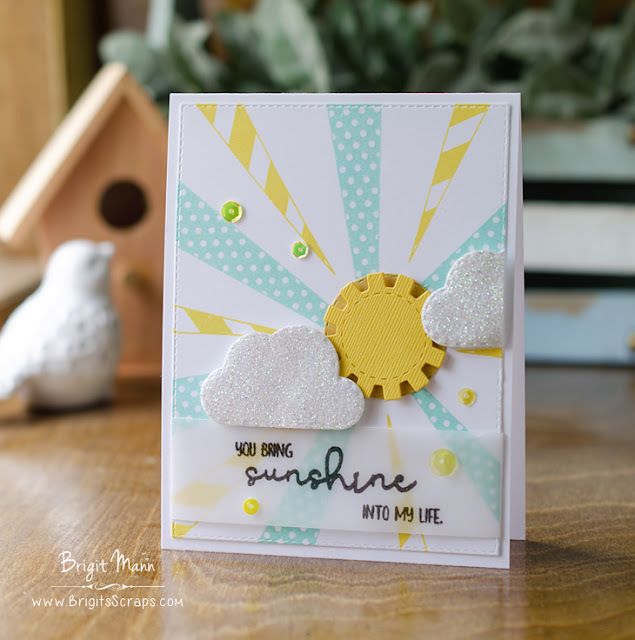 The sentiment is also from the Build A Sunray set and the sun and clouds is from You Are My Sunshine set. I added a one of the circles from the More Stitched Circles dies behind the sun and cut out the card layer with the Stitched Rectangular Frames and More die. 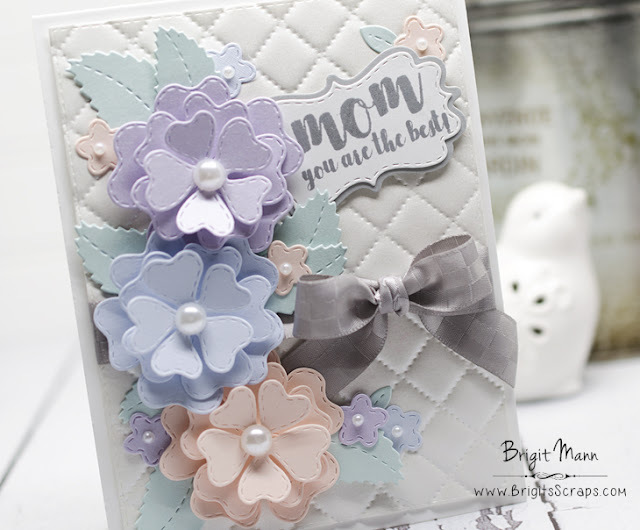 I made this card for a Mother's Day challenge over at the Paper-Garden.ca, check out the link to get all the details to enter. There is a nice prize to the store which sells beautiful paper and cardstock, I used some on the card below and totally love it. I used My Creative Time dies and the cardstock cutout beautifully and the sheets I have are a nice weight, some heavier, between 80lb and 105lb. Love the shine on some of the sheets and the blue is a linen which I love. I'll list what I used down below. The only pieces that is not from Paper-Garden are the top and bottom layers for the sentiment and cardbase. You can sign up for the challenge here and link up and vote here. Winners will be announced May 10th. 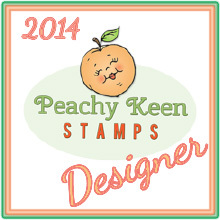 Finally opened my SSS Card Kit for this month, such cute stamps and I love the Lawn Fawn Perfectly Plaid Paper. I made this cute teacher's gift pillow box that I cut out with my Brother ScanNCut. 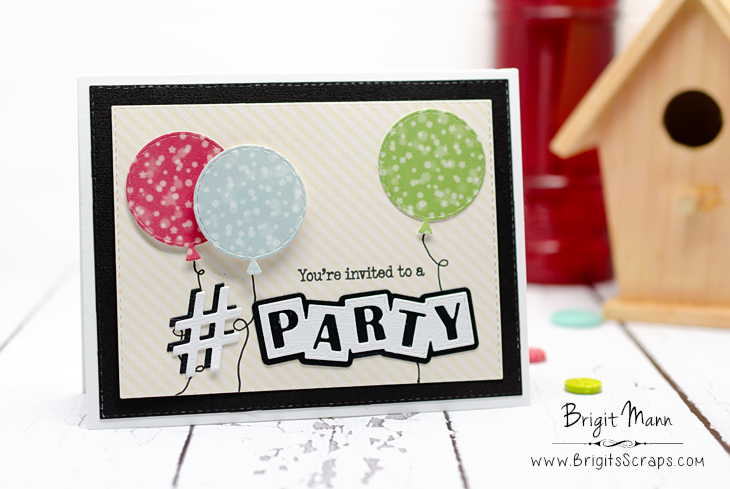 I also used it to cut out the stamped images, save so much time if you don't have the matching dies. 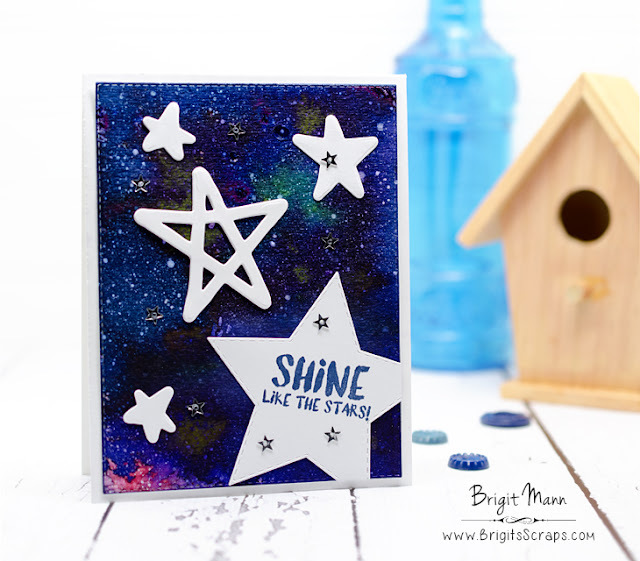 The SSS cardstock that comes in the kit I used Sunshine, cuts out beautifully with the cutting machine, I really never used it before with it cause I use mostly American Crafts Textured Cardstock but I really like the thickness and it's a change from the textured. Adding this to Simon Says Stamp Anything Goes Wednesday Challenge.